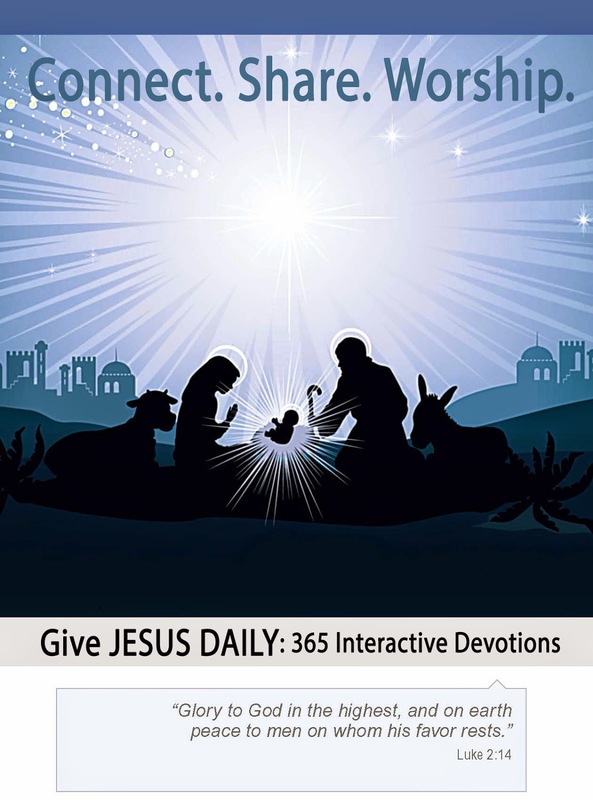 Jesus Daily: 365 Interactive Devotions by Aaron Tabor + Giveaway! 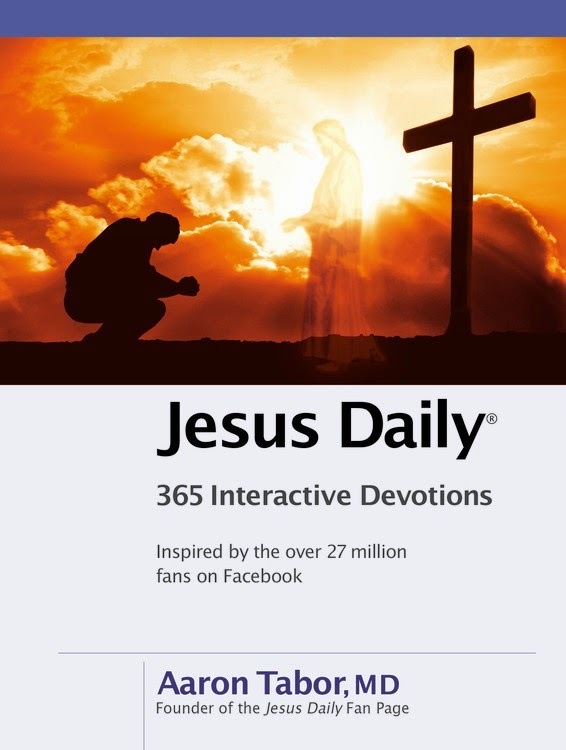 Jesus Daily is the most active Facebook page in history and now there's a book inspired by it! 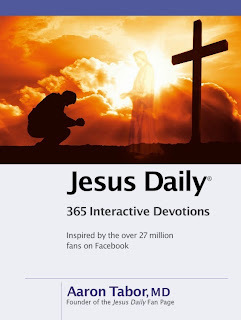 To be honest with you, I hadn't heard of this facebook page before, but I was drawn to the idea of a book that collects short devotionals for each day of the year. I definitely feel like I'm at a place in my life where I feel like I need these types of reflections and reminders in a way that's easy to find and read. And this book is fantastic! For each day of the year, there is an entry. Each entry leads off with a Bible verse and then a few short reflective thoughts on that verse. After these thoughts, the book offers up a challenge to put the ideas into practice via a practical means using social networking tools. I absolutely love this because it's a good reminder that we can use how connected we are via the internet to encourage others and even deepen our relationships. We can use these tools to be thoughtful and outward focused. I know that sounds strange, but I think it's an easy trap to fall into to become self-focused even in the social networking realm! For example, the entry on my birthday talks about how we often want to skip the instructions when we buy something new and jump in, because we wish to understand it intuitively. It was actually a little bit of a relief to read this because I am exactly this way and I didn't realize it was a phenomenon. It then reminds us that we are often the same way in our Christian lives and we skip the practices we know will lead to a more fulfilling life. The tip is to reach out to an online friend and share an area where you're struggling. 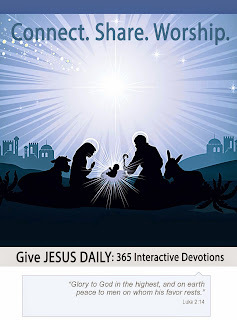 This would make a great gift for any Christian on your list, and especially for any who love the online space or are looking for a tool such as this one in their lives. It can be purchased at Barnes & Noble or another retailer of your choice. I'm really excited to be able to offer a giveaway as well! One winner will receive a copy of Jesus Daily as well as a T-shirt. To enter, just fill out the form below by December 8, 2014. Winner will be notified via email.